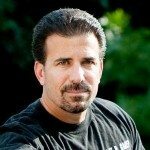 Many of you have heard me say, in my prior posts, that there are generally two ways to resolve a case. One is an outright motorcycle personal injury settlement wherein we submit all the medical records, reports, bills, etc. to the insurance company and we reach an agreement on an amount that will adequately compensate my client for his/her pain and suffering, lost wages, medical bills and any liens. That is known as a negotiated settlement. 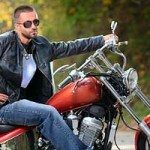 The other traditional way is, if my motorcycle accident client and I cannot reach an agreement with the insurance carrier on a number that everyone is satisfied with, then a motorcycle accident lawsuit is filed against the individual who caused the motorcycle accident. Generally clients prefer an amicable personal injury settlement to litigation for obvious reasons. The most obvious being the time factor. However, if settlement proves impossible and it appears as though a jury trial is imminent, there is another way to try to get a realistic figure on compensation for the injuries caused in your motorcycle accident – that is to use a mock jury. A “jury trial” is set up and controlled by Plaintiff’s counsel and then the injury victims’ motorcycle accident attorney puts on an abbreviated case, including opening and closing argument, and presents the evidence that would be presented at a real jury trial to the jurors that have been selected at random to hear the evidence. It is essentially a dress rehearsal for a real trial however, the big advantage is that you put on your case in front of anonymous jurors and then ask them to deliberate and come up with a number that they feel would adequately compensate the injured motorcycle accident victim. 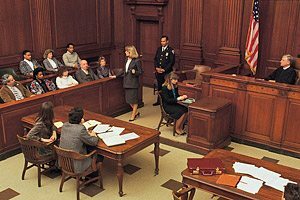 Mock jury trials usually prove effective because a motorcycle lawyer puts on all of the evidence that would be put on in a real trial and then get opinions of the jurors as to what they each feel your case is worth. We also get to speak to each one of them as to what other evidence they may want to have heard and this can be of great assistance in helping both sides reach personal injury settlements during the next rounds of settlement talks. By the way the jurors don’t do this for free, and there are companies that we can contact that will set up the entire mock jury processes. A leader among motorcycle accident attorneys, Lee D. Gaber will determine what is best for your particular case. This is just one of the tools that can use. If you have been injured in a PA motorcycle accident call 888-292-5352 (888-cycle-law) for a free consultation.